From a quirky superhero to a silver-tongued naval legend, from a young woman with a death wish to love in an old folks' home. Here is a roundup of upcoming projects by Danish directors. 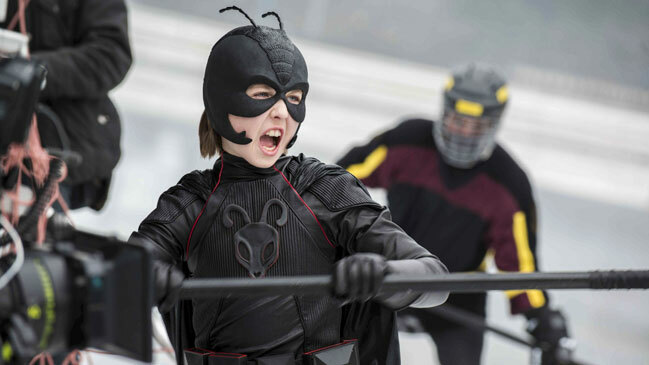 Ask Hasselbalch‘s superhero movie Antboy hit it big with audiences and critics alike last year and was even sold to the birthplace of the genre, the US. 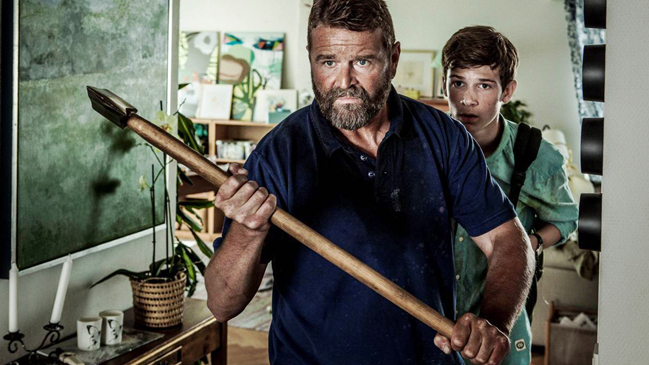 Now the boy who gets superpowers when he’s bitten by an ant is returning to the big screen in Antboy II, again helmed by Hasselbalch and starring 13-year-old Oscar Dietz. From behind the scenes of Antboy II with Oscar Dietz. Peter Schønau Fog, who won the Nordic Council Film Prize for his darkly funny drama The Art of Crying (2007), is working on an adaptation of Christian Jungersen’s novel You Disappear. Zentropa is producing. Janus Metz, who took top honours in Critics’ Week at Cannes 2010 for his war documentary Armadillo, is busy developing his international career: According to plan, he starts filming the noir thriller Galveston this fall, and he will also be directing the London-set Blowback, about a group of soldiers returning from Afghanistan. After his resounding success with The Hunt, included winning awards at Cannes, Thomas Vinterberg is now releasing his adaptation of Thomas Hardy’s Far From the Madding Crowd. The film stars Carey Mulligan, Michael Sheen, Tom Sturridge and Matthias Schoenarts and is expected to open in 2014. Thomas Vinterberg’s adaptation of Far From the Madding Crowd with Matthias Schoenarts and Carey Mulligan. Director Per Fly is putting the financial crisis on TV with new series Follow the Money, a drama set in a world of white-collar crime. The series is produced by national broadcaster DR, which also brought us The Killing, Borgen and, most recently, The Legacy. The first ten episodes, out of a planned 20, will air in September 2015. Tordenskiold is the title of the new film by Henrik Ruben Genz and also the name of a Danish naval legend. A silver-tongued seducer, Tordenskiold (figuratively, Thundershield) might be perceived as an 18th Century rock star. He died at the age of 30 under ignominious circumstances. The film is produced by Nimbus Film and release is scheduled for fall 2015. Silent Heart is a return to the kind of intimate drama that brought Bille August international fame, winning the top prize at Cannes in 1988 and 1992 for Pelle the Conqueror and The Best Intentions, respectively. SF Film is producing with release set for late 2014. Bille August returns to the intimate drama with Silent Heart. The cringe-comedy Klown about two men behaving very badly, was the biggest blockbuster in Denmark in 2010. Now the duo, played by popular comedians Frank Hvam and Casper Christensen, are gearing up for new disasters. Once again, Mikkel Nørgaard is in the director’s chair, with Nutmeg Movies producing and a release set for 2015. Michael Noer has made movies about gangs and prison inmates. 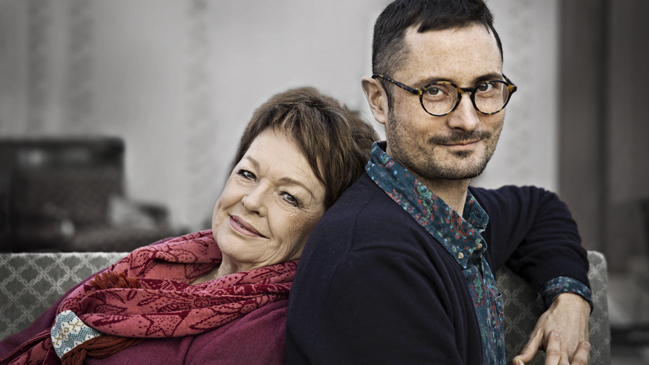 In Key House Mirror, he looks at a woman – played by Danish screen and TV legend Ghita Nørby – who in the autumn of her life falls in love with a man who is not her husband. Nordisk Film is producing and release is scheduled for 2015. Ghita Nørby and Michael Noer team up in Key House Mirror. Following his feature documentaries Jerusalem My Love and The Swenkas, Jeppe Rønde is readying his first feature fiction film. Suburbs (working title) is based on true events about a series of mysterious suicides among young people in south Wales. Expected release end of 2014. Based on Laura Wade’s play, Lone Scherfig‘s drama Posh is set at Oxford University. Following two freshmen, the film shows how ambition and greed over the course of a single night at a pub can lead down some very dark paths. Release is scheduled for September. From Lone Sherfig’s drama Posh based on a play by Laura Wade. Multiculturalism is a recurring theme for director, screenwriter, actor and erstwhile photographer Omar Shargawi. In his new drama Medina, Muslim Yusif and his pregnant Danish wife arrive in the city of that name. Soon, though, things start going horribly wrong, with dramatic consequences for Yusif’s future – and his faith. Nordisk Film is producing and release is scheduled for 2015. Climate change spawns spectacular monsters in Danny’s Doomsday, a disaster movie set in mundane, everyday surroundings and directed by Martin Barnewitz. Most of all, though, it’s a film about the relationship of two young brothers, Barnewitz says. Produced by Miso Film, Danny’s Doomsday is expected to open in October. Peter Gantzler in disaster movie Danny’s Doomsday. Annette K. Olesen‘s Muleum is a bittersweet tale about a teenage girl, who loses the will to live when her closest relatives all perish in a plane crash. Dying, however, proves surprisingly difficult. Muleum is adapted from Norwegian author Erland Loe’s novel, and besides a feature film and a TV series, Olesen will tell the story in the form of 125 webisodes. Ole Bornedal‘s TV series 1864 is about Denmark’s stinging defeat to the Prussians in that year. The protagonists are brothers Laust and Peter, who join the army and leave behind Inge, the girl they both love. The series opens on DR in October and is produced by Miso Film. A dark, now almost forgotten chapter of European history plays an important part in Daniel Dencik‘s drama about Wulff Joseph Wulff, who travelled to the Danish territories on Africa’s Gold Coast in 1838 to set up plantations. Haslund Film is producing with release set for 2015. Jakob Oftebro in Daniel Dencik’s drama Wulff. Photo behind the scenes.